Your pets are part of your family, and you want to keep them feeling their best. 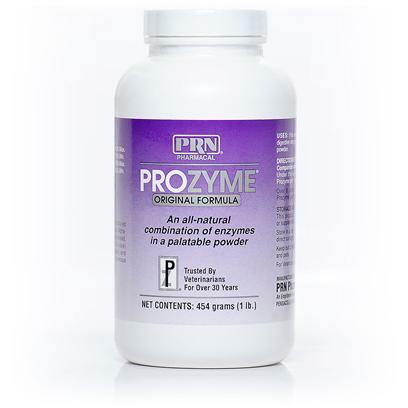 Prozyme Powder is a supplement derived from plants that is ideal for dogs and cats who are suffering from digestive disorders, weight problems, bloating, skin diseases, allergies, and dry or scaly coat. Prozyme Powder is easy to mix with your pet's food and is recommended by many veterinarians since it's been proven to improve the absorption of essential nutrients. Consult your veterinarian before changing your dogs diet. Keep out of reach of children and pets. Add the recommended dosage for your dog’s size and weight or as prescribed by your veterinarian to your dogs food. Mix well.